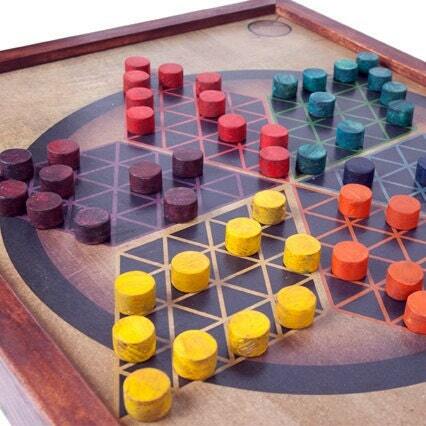 The game of Chinese Checkers has a unique design in the form of six-pointed star and 121 boxes. Contrary to its name, the game is not originated in China, but in nineteenth century Germany, where it was called Stern-Halma as a variant of Halma American game. 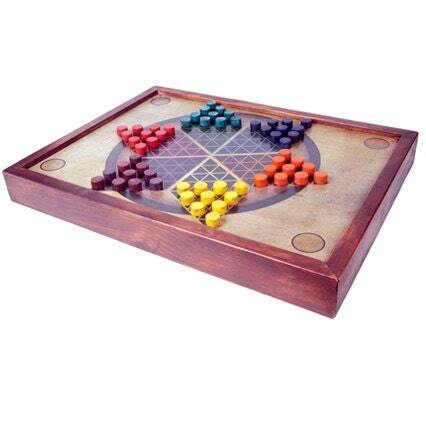 When the game came to America, it was called Chinese Checkers in order to make it more exotic. 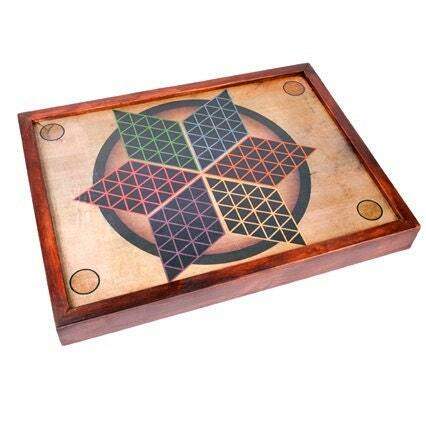 This checkerboard is handmade in wood and decoupage, and it is designed for you can hang it on the wall like a painting if you want. It also has a rear storage to store the pieces and instructions.